Peacefully nestled in the beauteous state of Jammu and Kashmir, it is one of the largest cities of the region. Captivating millions of tourists with its snow-capped mountains, architectural heritage, exotic hotspots and captivating narratives—this hill-station in India will simply leave you breathless. Known for adventurous, leisure and romantic escapades, Jammu reveals its different aura, depending on what you are searching for. For few, tour to Jammu is historically linked with worshipping at Vaishno Devi Temple, while for history connoisseurs, exploring the Bahu Fort and Amar Mahal Palace are also spectacular. Wildlife enthusiasts can then opt for an action packed stint at Nandini Wildlife Sanctuary—away from the hue and cry of city life. So, whatever your calling might be, Jammu holds the answers for all of it. One of the most sacred Hindu pilgrimage destinations in India, it is dedicated to Goddess Durga. Perched on the Trikuta Mountains, this revered shrine attracts 10 million pilgrims every year. It is strongly believed that every wish prayed here, comes true. Interestingly, there are no idols inside the shrine, located in a holy cave. Instead, there are natural rock formations or ‘pindies’. It is strongly believed that Lord Vaishno Devi herself calls her pilgrims when it’s the right time. The shrine is also mentioned in one of the holy Hindu Vedas (ancient texts) like Rig Veda. 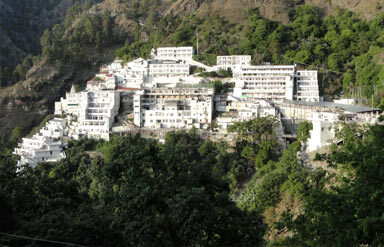 History of Vaishno Devi Temple reveals that its importance emerged 700 years back. 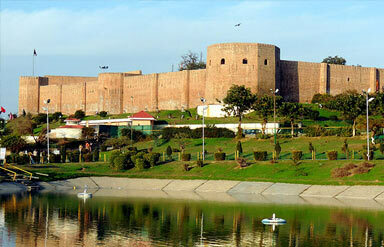 One of the important tourist attractions in Jammu, this majestic fort is 3,000 years old. Initially built by Raja Bahulochan, its construction took 300 years. It was further embellished and refurbished during the rule of Rajput rulers of Dogra dynasty during the 19th century. There’s a sacred temple dedicated to Goddess Kali inside the fort itself. 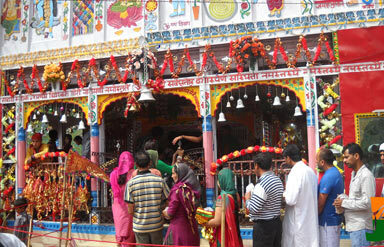 Locally, the temple is called as ‘Bave Kali Mata temple’. Thick walls connect the four octagonal towers, endowing a sturdy feel to it. It must be visited by history buffs, photo-fanatics and art connoisseurs. Mughal style gardens have been added to further enhance the fort’s beauty. Adventure enthusiasts; get ready for action with the varied topography and stunning locales of this sanctuary in Jammu, established in 1990. Several endangered birds and species can be spotted, throughout the year. It is famous for huge number of pheasants along with red jungle fowl, Indian mynah, chakor and blue rock pigeon. You can also spot wild boars, leopards, Indian foxes and five-stripped squirrels. Constructed way back in 19th century, the palace-turned-museum was designed by a French architect, emulating the architecture of château, or manor house. The main attractions include rare art collections, Kangra and Pahari paintings and 120 kg weighing golden throne. One can spot several majestic portraits and paintings, belonging to the valiant Dogra dynasty, elegantly put on display in the museum. It endows a breathtakingly beautiful view of the Tawi River as it is perched on a hillock. Interestingly, one can also spot instances of Greek architectural style. A revered shrine dedicated to Goddess Durga, thousands of Hindu pilgrims visit it in August, every year as a part of ‘Chhhadi Yatra.’ Along with bus services, helicopter facilities are also available from Gulabgarh and Jammu region. Pilgrims have reported several mysterious and supernatural encounters during their course of pilgrimage. Few important tourist places located near to Jammu are Kud (103 km), Patnitop (112 km), Sanasar (119km), Sudh Mahadev (120km) and Batote (125 km). Tourists can easily spot innumerable souvenirs in this shopper’s stop. The Jammu Travel Guide includes several ‘things to buy’ like handicrafts made of papier-mâché, wooden items, traditional clothes and Thangka paintings. The main shopping destinations include Hari Market, Raghunath Bazaar and Vir Marg. The best time to indulge in Jammu Tourism is from October to April, when the weather is quite pleasant and moderate. Air: The Jammu Airport is conveniently connected with cities like Leh, New Delhi and Srinagar. Rail: The nearest railhead is at Jammu Tawi and is linked with prominent Indian cities like Trivandrum, Mumbai, Delhi, Chennai, Kolkata and Pune. Road: Jammu and Kashmir State Road Transport Corporation connects it with other cities like Manali, Delhi, Ludhiana and Shimla. So, go ahead and get ready for adventure, history and discovery with Jammu Travel, right away.